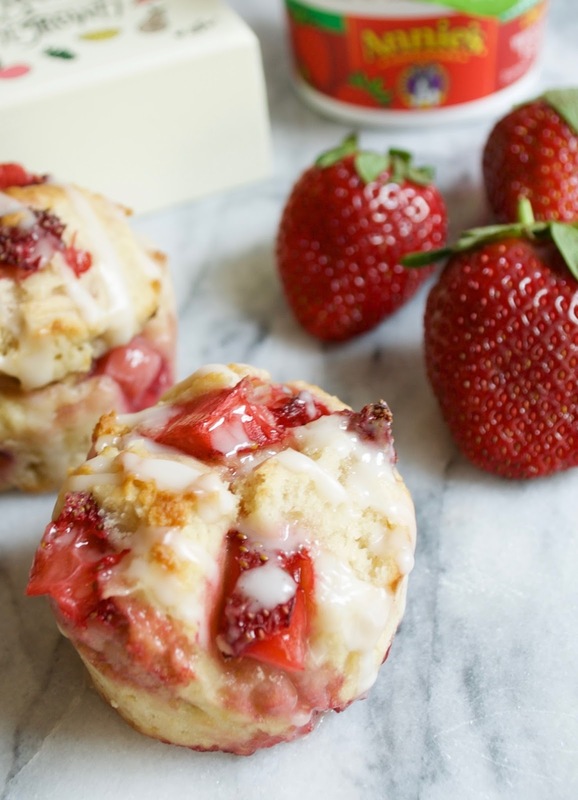 This muffin recipe has got to be one of my new favorites. It is super easy and makes for the perfect grab and go snack, plus it's healthy and uses Annie's Organic Whole Milk Yogurt. 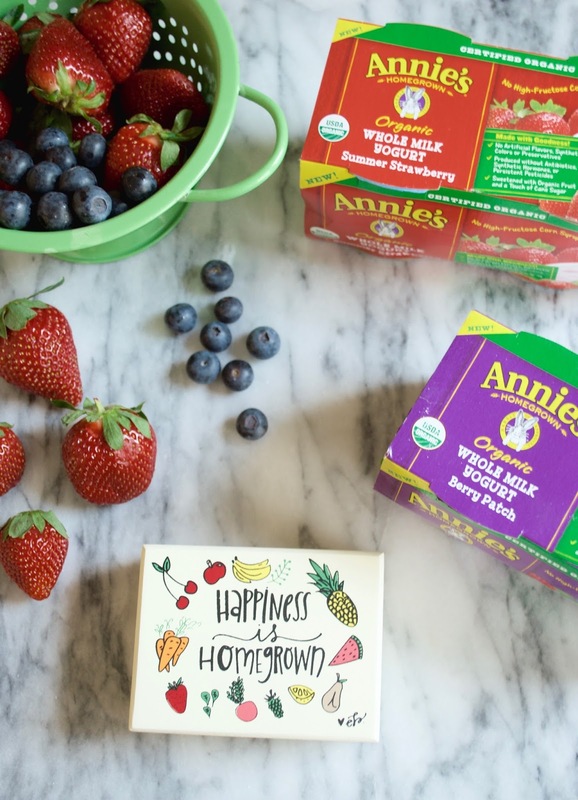 I always try to shop organic and #ChooseGood, which is why I was so excited when #Annies reached out to me to come up with a healthy and organic recipe. In the Spring and Summertime, I just can't get enough of fresh strawberries (see our visit to the strawberry patch here). You name it, if it has strawberries in it, I'm sure to love it. 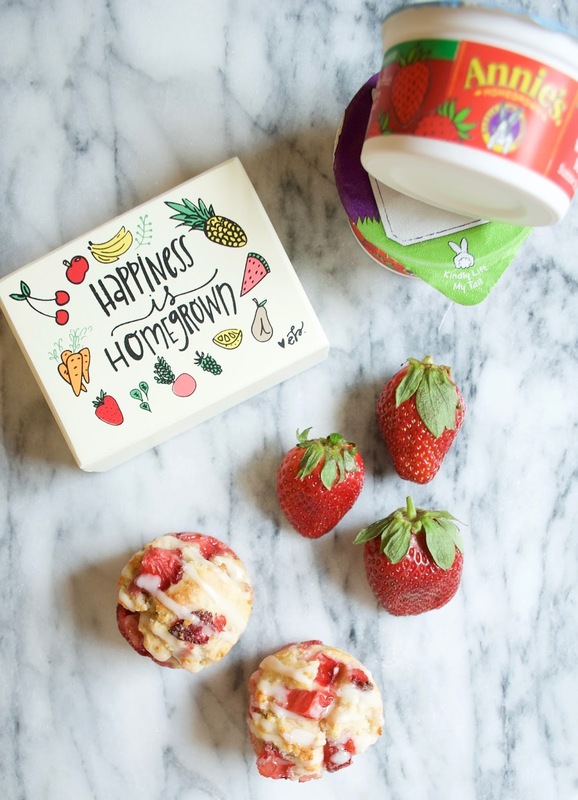 There is just something so refreshing about indulging in a fruity and yummy snack on a warm summer day. 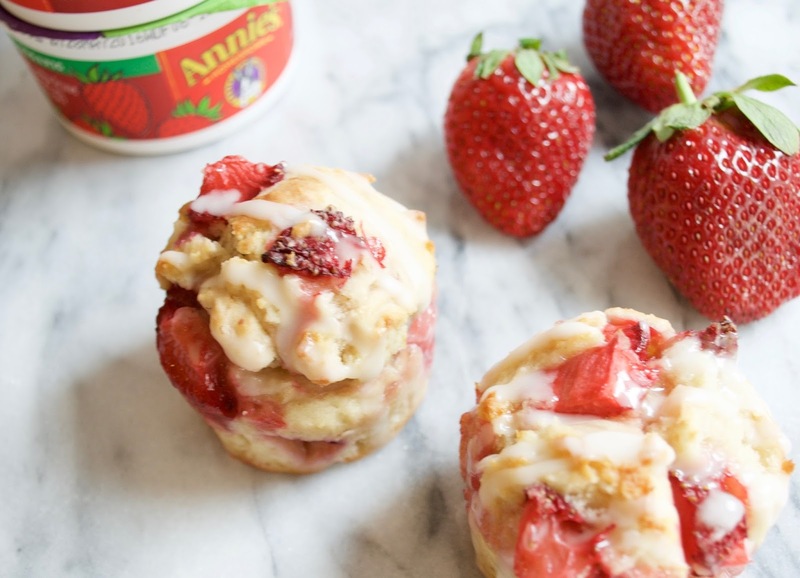 Yogurt is usually my go to for a light summer snack and Annie's Organic Whole Milk Yogurt is a new line from Annie's Yogurt. It's available from Publix (get a 2 for $5 coupon here) in two flavors: Summer Strawberry and Berry Patch. 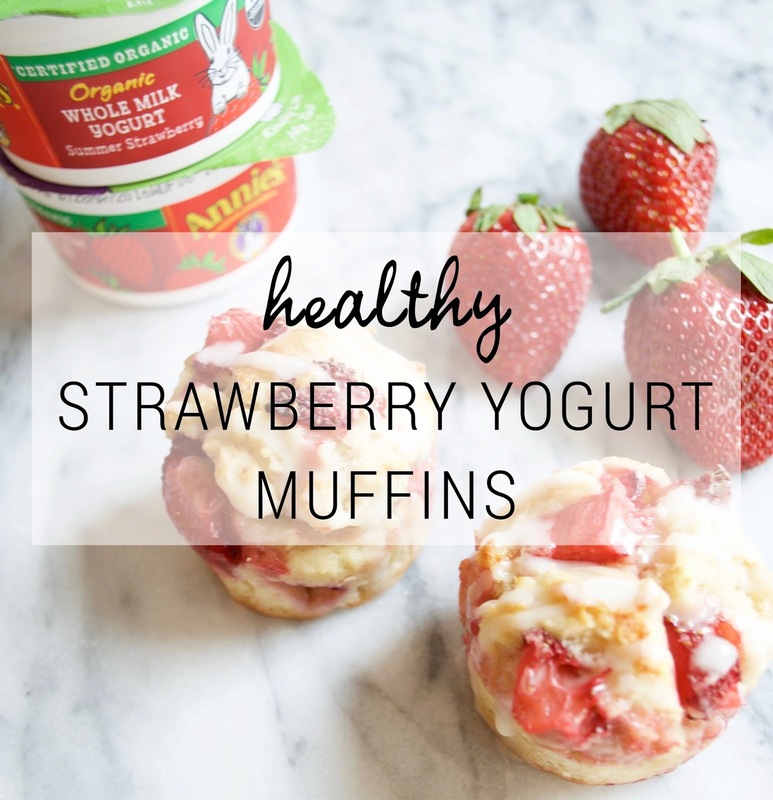 I decided to whip together some healthy strawberry yogurt muffins, which are great for breakfast, a mid-day snack or even for a wholesome dessert. These are so easy to make and are so good, it's hard to eat just one. Check out the recipe and ingredients below and try Annie's Organic Whole Milk Yogurt and taste the goodness out yourself, trust me you'll be in love with it instantly! 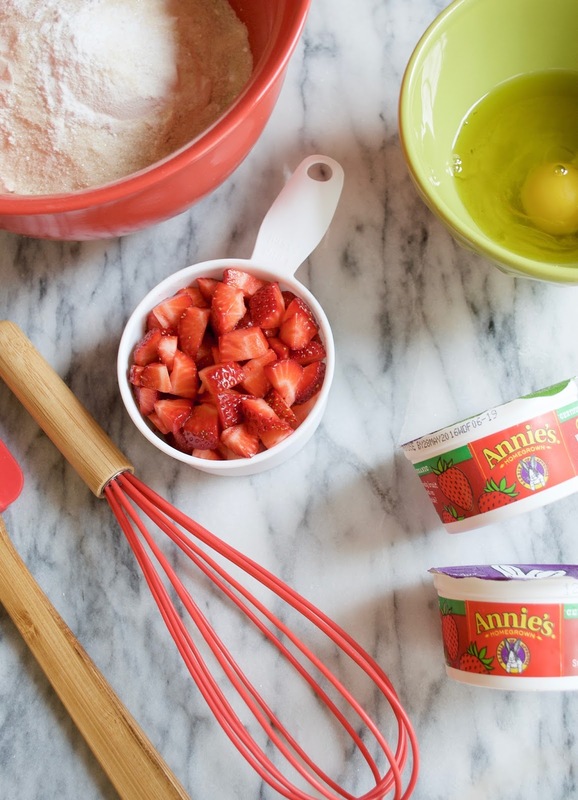 Also, be sure to check out Annie's website for some other yummy recipes! Bonus! 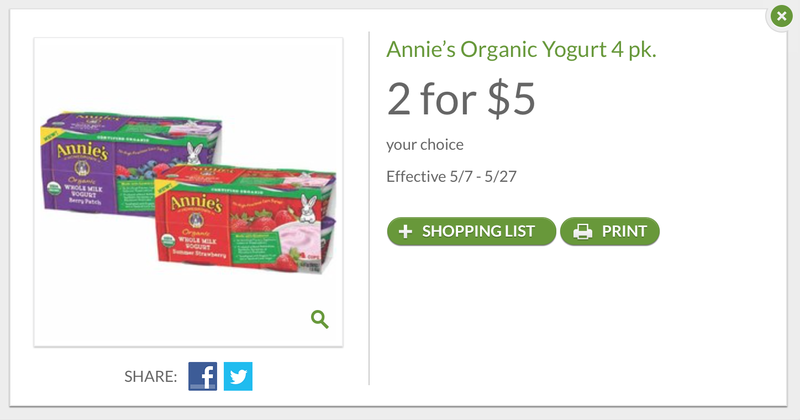 Publix is currently offering a 2 for $5 coupon for Annie's Organic Whole Milk Yogurt on their extra savings flyer...click below to print the coupon. Mix the flour, sugar, baking soda, baking powder and salt together, blend well. Then mix the eggs, oil, and Annie's Organic Whole Milk Yogurt. Combine all wet and dry ingredients together. Fold in fresh cut strawberries slowly. Once, well combined spoon into muffin pan or cups and place in oven at 375 degrees for 15-20 minutes or until lightly brown on top. Once cooled, mix the powdered sugar and lemon juice until smooth and drizzle slowly across each muffin. They are SO GOOD plus quick and easy to make!